The Shun Blue 10" Kiritsuke Knife is a work of art. 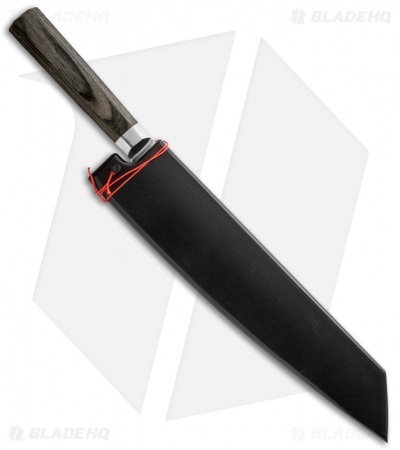 Beautiful to look at, this master chef's knife takes some practice to be able to use properly. Once mastered, this knife can be used for numerous tasks in the kitchen - works beautifully with vegetables, excellent for cleaning and portioning boneless proteins and fish, and slices through fruits and cooked meats with ease. It won't rock through cuts like a traditional chef's knife, but once you work with it, you'll find yourself reaching for your Shun Blue Kiritsuke more and more often. 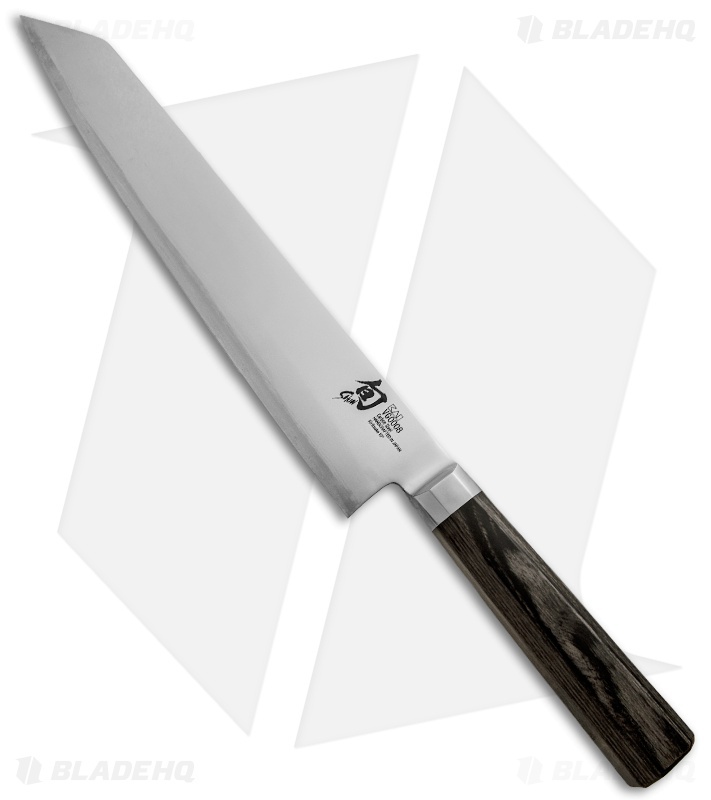 The Shun Blue Kiritsuke Knife is part of the Shun Blue line, developed in partnership with award-winning chef, Chris Cosentino. Internationally renowned for his "nose-to-tail" cooking philosophy, the Chef Cosentino chose traditional Japanese blade shapes that are essential for preparing the proteins for which he is so well known, as well as a selection of all-purpose tools every kitchen needs. These exciting knives feature a carbon steel cutting core for a razor-sharp edge and quick re-sharpening. For easier care, the "blue" carbon steel core is sandwiched between two layers of mirror-polished stainless steel. The beautiful grey PakkaWood® handles are a variation on a traditional Japanese design modified to meet the chef's demands for secure and comfortable grip. The Shun Blue line makes this selection of classic Japanese culinary knives available to professionals and avid home cooks in the West. Never wash your knives in the dishwasher. Make sure your knives are completely dry before storing them. Use only very mild soap for cleaning, if you use any at all. If you live near the sea coast or anywhere with salt in the air, your Shun Blue knives will require a light coat of oil to prevent rusting; food-grade mineral oil is recommended.